Pumped Hydro Storage Market in U.S. region will positively impact of refurbishment and upgradation of existing grid network along with increasing demand for grid support systems and other ancillary services. 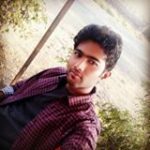 Advancement in distribution generation technologies coupled with incorporation of green energy technologies will accelerate the product adoption. China through its Sovereign Wealth Fund has planned to invest USD 800 billion for the development of infrastructure across the nation. Technically, energy production and consumption do not always occur concurrently, as the daytime observes much more energy demand than nightfall. Pumped storage power plants effectively even out these fluctuations in electricity grid and level out the shortages and surpluses by supplying ample energy during daytime and using the surplus energy generated during the night to pump the water back into the upper reservoir. In consequence, pumped hydro storage market is winning against the wind and solar power industries in the renewable energy sector, as wind and solar powers are subject to strong natural fluctuations, while in a closed loop pumped hydro storage there is no such natural intervention. Another factor that stimulates the pumped hydro storage industry is the product’s relatively long shelf life. Though the capital cost of setting up a pumped storage power plant can be daunting, its service life can offset the cost of installation and can prove to be far more economical than other renewable sources of energy. Grid stability, large-scale storage capacity and energy efficiency are some of the prominent features which will stimulate the pumped hydro storage market growth. Growing electricity demand from off grid remote areas primarily across emerging economies will positively influence the industry growth. As per the European Association for Storage of Energy, the average efficiency range for PHS systems is 70-80% when compared to other available counterparts. Spain pumped hydro storage market is predicted to exceed 9 GW by 2024. Stringent codes & standards coupled with ongoing investments toward the development of microgrid network will stimulate the product demand. As per 2012/27/EU directive, the European Commission has introduced the regulatory standards to promote energy efficiency across the region. As per estimates, China pumped hydro storage market is forecast to surpass a capacity of 46 GW by 2024. Pumped storage hydropower projects have been providing transmission ancillary benefits and energy storage capacity since ages. Grid stability, high storage capacity, and above all energy efficiency are the prime factors driving the China pumped hydro storage industry share. As claimed by EASE (European Association for Storage of Energy), pumped hydro storage systems have an average efficiency of almost 70% to 80% which is much higher when compared to its other counterparts. Ongoing energy efficiency reforms toward the integration of clean storage system have also favored China pumped hydro storage industry size. Ongoing expansion of microgrid network along with advancement in distributed generation technologies will stimulate the pumped hydro storage market. Upgradation and expansion of existing PH projects to increase the operational efficiency will propel the industry growth. Rising concerns pertaining to emission will further strengthen the product demand. For instance, the government of Canada has pledged for 80% reduction in emission levels by 2050 when compared with 2005 levels. Growing expansion and refurbishment of ageing power plants with an aim to improve operational flexibility will drive the pumped hydro storage market. Ongoing R&D activities and innovations including network frequency control and variable speed technologies will complement the business outlook. Lack of effective monitoring systems along with increasing electricity outages primarily across emerging economies will further propel the product demand. 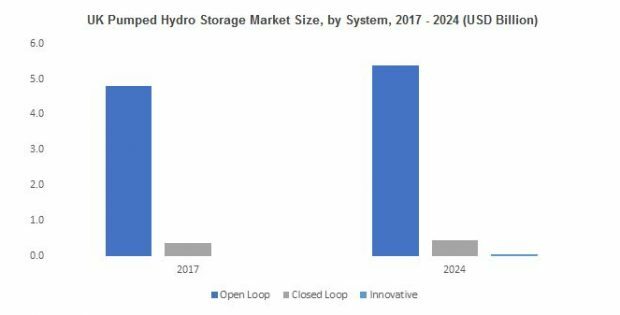 A recent market speculation report put forward by Global Market Insights Inc., depicts pumped hydro storage market size to be pegged at a massive USD 390 billion by the end of the year 2024.